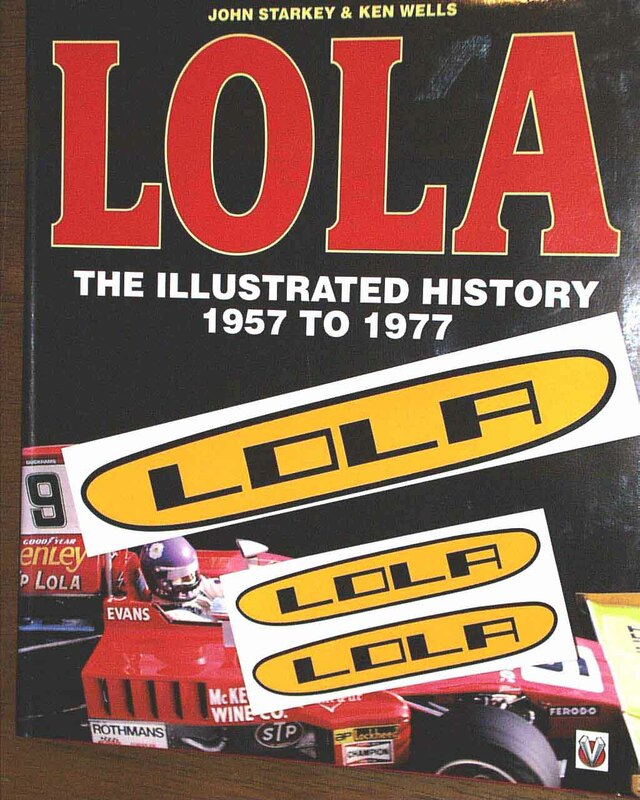 Just in, Original style Lola Nose Decals that were used through out much of the 1960's to the 1980's. 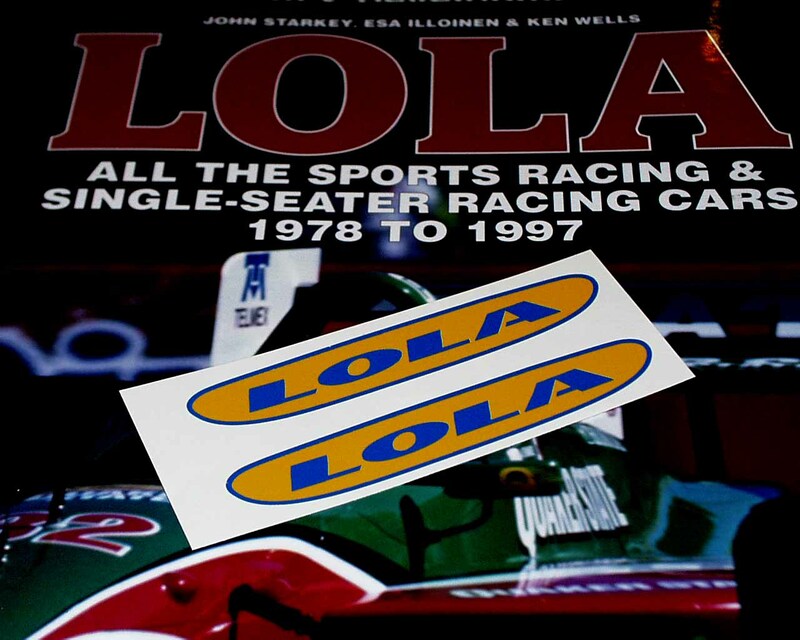 These decals are high quality and die cut to exact specs to fit the Lola Nose Badge indentation on many original Lola bodies. Please specify "Vintage" on your orders. Available in Black on Yellow only. 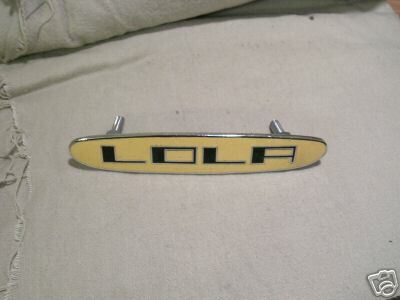 Finally, high quality vinyl nose badge LOLA decals are now available on the Lola registry. 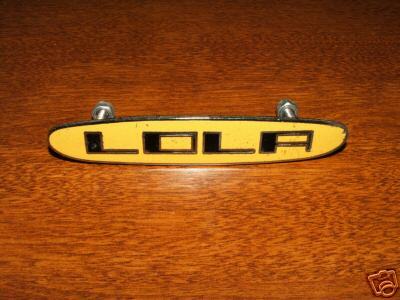 These decals are sunfast, UV resistant, and perfectly die cut to fit the nose badge indentation of most Lola cars. Decal measures about 4.125" across and .75" high and are Black with a bright yellow background. 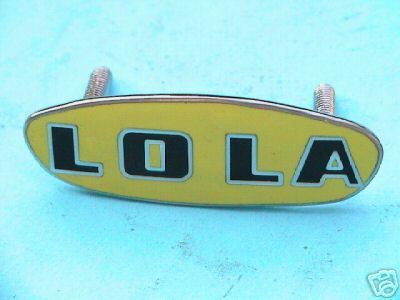 Blue on yellow also available to reflect Lola Cars modern colors and a larger 7.5" wide decal will be available shortly for drivers who have larger sports racers and wish to show the marques more prominently. They work well on tow equipment too! 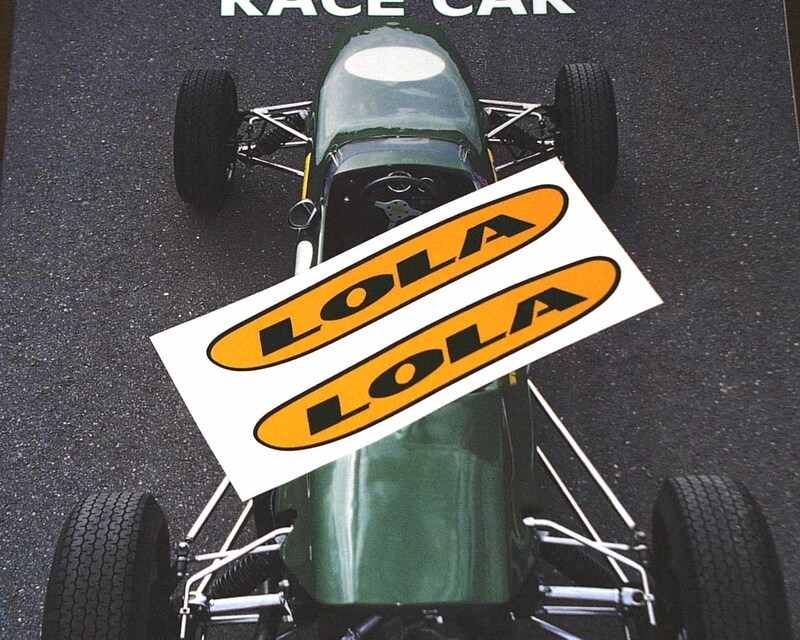 So dress up your Lola, fill that nose badge void, and get one of these great looking decals to finish off your race car. I have a limited supply, so please get your order in early, first come first serve. Thank you for your continued support, Allan. Please specify size, Vintage or Contemporary style, quantity, and color when ordering. Also, given the limited quantities, e-mail me with your address and items wanted so I can put them aside for you before they sell out. Thank you.